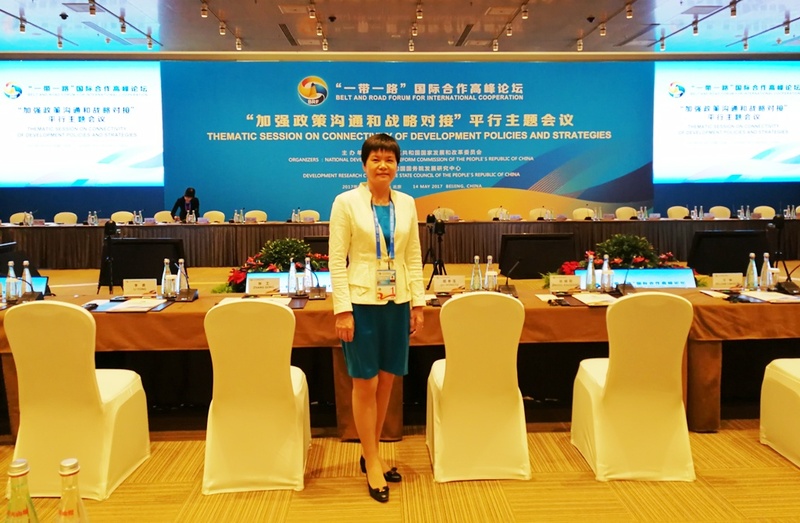 On the afternoon of May 14th, 2017, Chairman of CAMCE Luo Yan participated the Belt and Road Forum for International Cooperation Thematic Session on “Connective of Development Policies and Strategies”， which was held in Beijing National Conference Center. The thematic session on “Connective of Development Policies and Strategies”is sponsored by the National Development and Reform Commission, and the State Council Development Research Center. The theme is "policy communication and development strategy docking­——mechanism innovation and common development". A total of about 360 guests from more than 70 countries and more than 40 international organizations attended the meeting. At the meeting, the participants signed 32 bilateral and multilateral cooperation documents and enterprise cooperation projects, involving 18 countries and 8 international organizations.